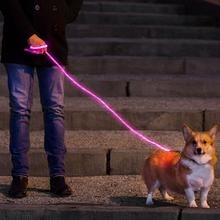 Nitey Leash is the world’s best illuminated dog leash. It lights up completely from end to end. Nitey Leash uses fiber optic technology, paired with a powerful LED, to make dogs and their owners stand out to traffic after dark. 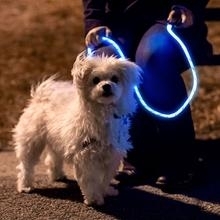 Nitey Leash is the world’s best illuminated dog leash. It lights up completely from end to end. Nitey Leash uses fiber optic technology, paired with a powerful LED, to make dogs and their owners stand out from the crowd at nighttime and in the early morning.